I really enjoyed White Cat, the first book in the series. It's been a while since I read a book with a YA male protagonist that I actually connected to and Cassel for me was very easy to relate to. He recently discovered he's a really powerful curse worker and there aren't actually a lot of workers that can do what he does: tranformation work. Which also means he's pretty much on his own, there's no one there to tell him how everything works and what the limitations to his powers are. He finds out about some of them on his own, but this means learning the hard way. And I get how that can be really scary. At the end of the last book, Lila was cursed by Cassel's mother. She's an emotion worker and made Lila love Cassel. Which is a pretty insensitive thing to do considering he's been in love with her for a loooooong time and this means none of it will be real for her. She's made to feel that way and though the effect will fade overtime, Cassel can never be sure if it's really her or still a lingering effect of the curse. I felt his struggle. On one hand he's a hormonal teenage boy and Lila is a beautiful girl who practically throws herself at him and then there's his conscience on the other side telling him he can't act upon his feelings, especially not in a physical way. He shows true character in this and he may not always make the right decision, I still believe he's a good person deep down inside. He may not believe it of himself, but I do. There's all sorts of horrible things happening and pressure is coming at Cassel from all sides to join them. Not to mention his family, who are just not nice people. I really dislike his mother and brother Barron. The only one I loved was his grandfather, who happens to be a death worker, so he's not exactly warm and fuzzy. I also really loved Cassel's friend Sam and of course Lila. Sam is a truly loyal friend and Cassel needs one of those. I'm so rooting for Cassel to end up with Lila! They really need to work things out. Holly Black is a genius in coming up with these cons and plot twists, it was absolutely amazing and I definitely did not see them coming! I'm predicting more trouble ahead for Cassel in the next book, so I'm really excited and will definitely be reading that one as well! 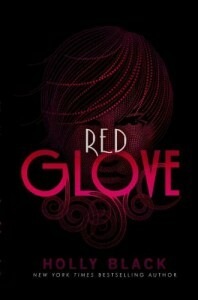 It will be coming out April 2012 according to Goodreads.